Betty demonstrates how to make Pumpkin Cheesecake Bars. 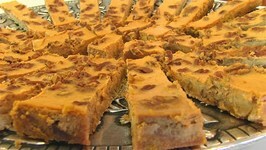 This dessert consists of a baked crust topped with pumpkin cheesecake. 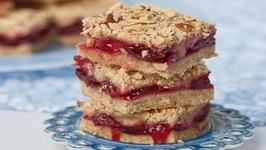 This bake is a perfect combination of some great sweet treats. 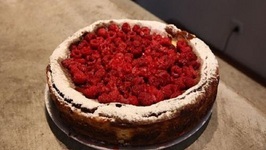 Andrea and Sarah show you how to make cookie dough cheesecake bars in this episode, with three layers ..
Theres nothing better than a good cookout for the 4th of July. 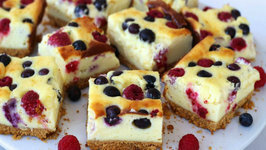 Delicious food, cocktails, fun, and now mixed berry cheesecake bars. 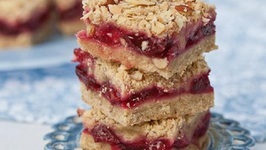 Need an easy and amazing dessert to take to a potluck, picnic, cookout? 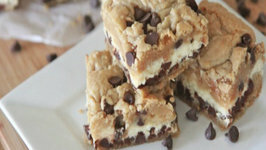 Say hello to these ridiculously delicious chocolate chip cookie cheesecake bars!! And YES you .. 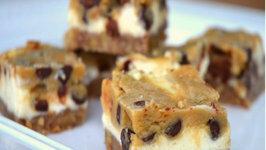 This video shows you how to make cookie dough cheesecake bars. 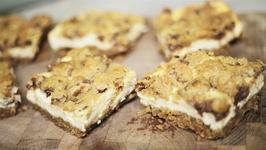 They have a nut crust on the bottom, creamy cheesecake in the middle, and chocolate chip cookie dough on top. 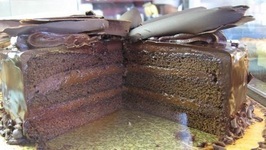 If you love apple desserts like apple crisp, apple pie, apple bread and so forth then this recipe may quickly become your favorite apple dessert.